Brand: Wilton 415-1442 Units: 24/pkg. Dimensions: 2" base x 2¼" wall A pretty pastel flower in full bloom! Perfect for shower, Mother's Day and birthday cupcakes. To bake fill baking cup with 3 tablespoons of batter. A pretty pastel flower in full bloom! 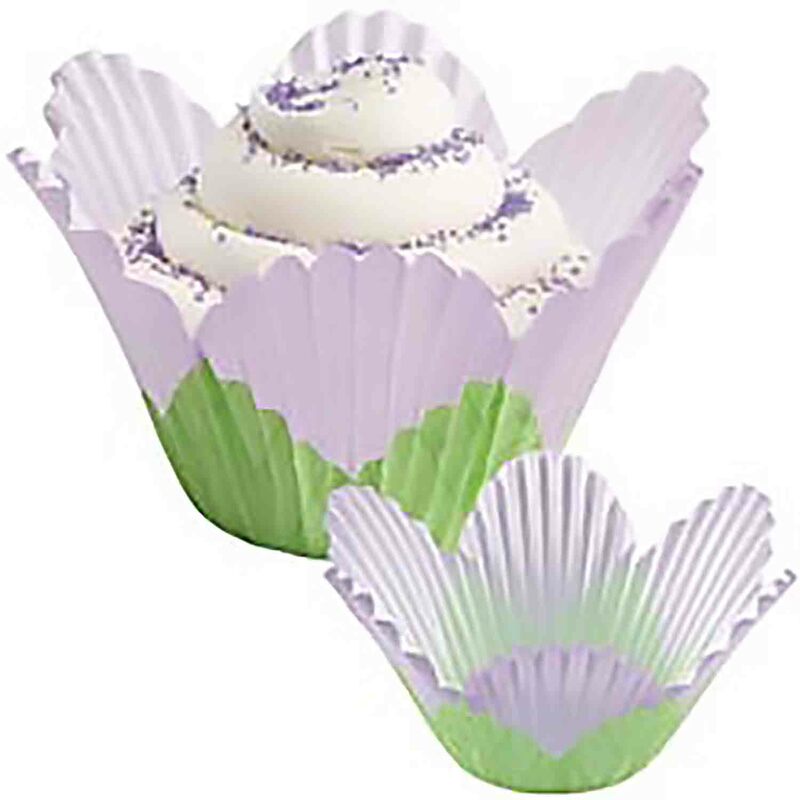 Perfect for shower, Mother's Day and birthday cupcakes. To bake fill baking cup with 3 tablespoons of batter.